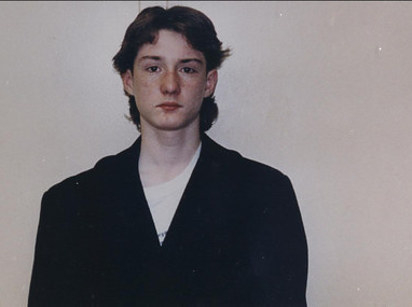 Adam Gray was convicted of arson and murder and sentenced to life in prison after police used bad fire science. Now, more than 24 years later, the charges are being dropped and he’s being freed. A Chicago man convicted as a teenager of double-murder and arson and sentenced to life in prison without parole will have his conviction vacated and — after more than 24 years behind bars — will walk out of prison Wednesday night. Adam Gray, 39, was the subject of a BuzzFeed News story last year titled Making An Arsonist that reported on the debunked fire science used to convict him after he was arrested in 1993. Last year, Gray’s petition for a new trial in the case was denied — but now a ruling by the Appellate Court of Illinois on a joint motion to drop the indictment against him will make Gray a free man. “Following a thorough, independent investigation, the Cook County State’s Attorney has concluded that Mr. Gray’s 1996 convictions were based on flawed trial testimony from purported experts in the field of fire investigation and are no longer valid,” the joint motion reads. “Scientific advances since the time of trial have proven that the fire investigators’ testimonies — while based on beliefs that were widely held in 1996 — were erroneous under current scientific knowledge,” the motion continues. Adam Gray was arrested in 1993 at age 14 and accused of setting his ex-girlfriend’s house on the Southside of Chicago on fire. Two elderly people living on the second floor died in the blaze. Three years later, he was tried as an adult and found guilty of double-murder — a charge that, at the time, carried an automatic sentence of life without parole even though the 17-year-old Gray was still technically a juvenile. Gray has always professed his innocence, saying the confession he gave the day of the fire was coerced by police who interrogated him for hours without a lawyer or his parents present. In 2016, Gray’s defense team and prosecutors for the State of Illinois agreed that he should get a new trial because of emerging science that suggests detectives ruled the fire an arson based on investigative techniques that have been thoroughly discredited over the years. Prosecutors from the Cook County conviction integrity unit wrote in a motion in June — joining Gray’s request for a new trial — that arson investigators who testified against him in 1996 relied on “abandoned theories” in the field. Furthermore, the prosecution added that the fire science used to convict Gray has become “partially invalidated” in the years since his conviction. After taking office, new Cook County State’s Attorney Kim Foxx revisited Gray’s case, paving the way for this week’s decision to drop the indictment against him. BuzzFeed News has reached out to Foxx’s office for comment. In his interview with BuzzFeed News, Gray recounted the life-altering events of March 25, 1993 and the years spent fighting his conviction. The night of the fire, Gray’s ex-girlfriend, Kasey Paris, told police at the scene that Gray threatened her for months because she had started dating his best friend. After he was taken into custody, Gray told police that he spent the night at the house of his his best friend, Mel Gonzales. But police were convinced that Gray left Gonzales’ house, went to a nearby gas station, filled up a milk jug with gasoline, then went to the house where Paris lived and set the back stairs on fire. After hours of interrogation, Gray eventually agreed to confess and signed a transcript with this narrative of the incident. At trial, his confession was read into evidence. Paris testified against him, claiming that the day before the fire Gray had told her to watch her back. But when police presented their evidence, two investigators testified that they found no gasoline in the debris — calling into question the state’s theory that Gray set the fire with gas. Despite the lack of gasoline at the scene, investigators said that they ruled the case an arson based largely on finding charred wood with shiny, scaly blisters — commonly referred to as “alligator charring” — at the scene. 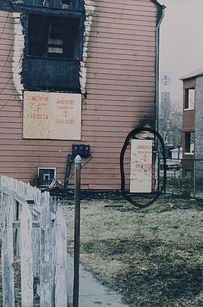 This was proof, they said, that an accelerant was used. That, along with this confession and other testimony, was enough to convict Gray. Gray’s efforts to appeal his case proved hopeless for years. Then in 2010, attorneys from Chicago-based firm Jenner & Block and the University of Chicago Law School Exoneration Project took up his case and brought in three leading experts in the field of fire science: John Lentini, Denny Smith, and Gerald Hurst. They examined dozens of photographs, chemical tests from the debris and milk jug, police reports, and testimony from the trial. Hurst said during his deposition that he put in 100 to 200 hours looking at the photos alone. The motion notes that in particular advances in science have “conclusively disproven” that the presence of charred wood indicates the use of an accelerant. Gray’s attorneys told BuzzFeed News that they expected him to be released from prison Wednesday night and returning home to Chicago.